Show off your curves in this fit & flare evening dress. The one shoulder bustier is heavy satin and the skirt is made from layers of tulle. 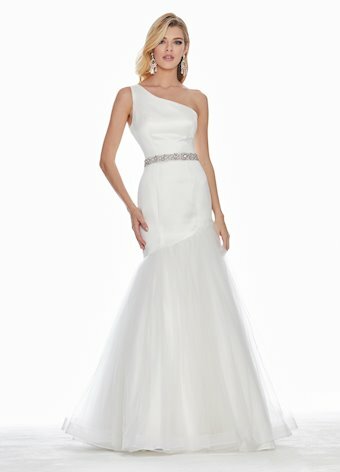 The waist is accentuated with a beaded pearl and crystal belt.